"We are proud of our rich heritage as an engineering company established over 80 years and are continually growing our business within our market sector." RAINEY ENGINEERING SOLUTIONS, formerly John Rainey & Son Ltd, was founded in Northern Ireland in 1929. Throughout the early years RAINEYS specialized in hand tools & were a recognized agent for some major hand tool manufacturers. In 2000 Roy Douglas purchased the company with his business partner Desmond Gilpin. Roy has worked in RAINEYS since 1988 when he was employed as a tooling engineer. Since then Roy has developed a strong supplier base to support the tooling requirements of the major production engineering sectors in Northern Ireland, Republic of Ireland and the UK. Roy was instrumental in the establishment of a Rainey in-house regrind & manufacturing facility in 1995 and has been designing and manufacturing precision engineering tools ever since. This facility has now grown to be an integral part of the company manufacturing & regrinding special tools for major global automotive, aerospace & general engineering companies. In 2002, RAINEY ENGINEERING SOLUTIONS moved from the Hillhall Road near Lisburn to purpose built premises in Enterprise Crescent, Ballinderry Road, Lisburn. In 2015 RAINEYS was acquired by MAPAL UK, a precision tooling company based in Rugby, and became part of the global MAPAL group. On 1st November 2018 Eamonn Orchin became Managing Director of RAINEYS. Roy Douglas will continue to provide management and customer support until his retirement in June 2019. 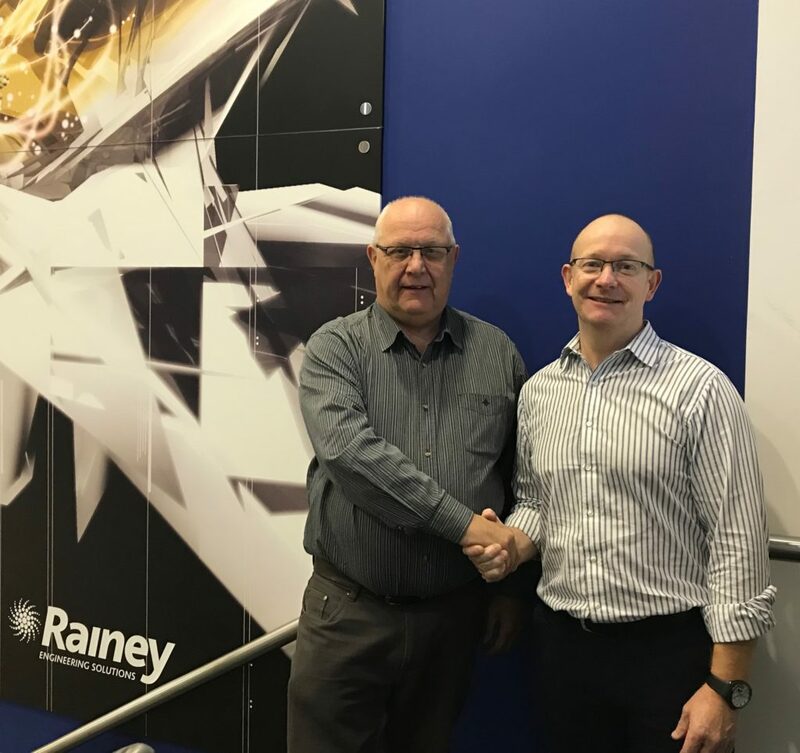 RAINEY ENGINEERING SOLUTIONS has progressed to become Northern Ireland’s top engineering tooling supplier & manufacturer working on multi million pound contracts with our customers. RAINEY ENGINEERING SOLUTIONS Has Been Supporting The Engineering Industry For Over 80 Years. © Rainey Engineering Solutions	2019. All Rights Reserved.